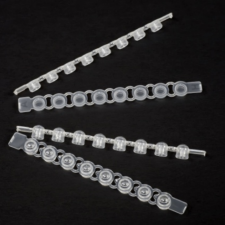 50 x 1mm cuvettes, long electrode, individually wrapped & sterile. 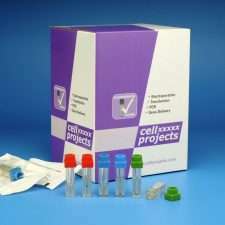 Compatibility – The cuvettes are compatible with most electroporation systems. 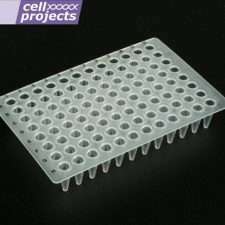 Bio-Controlled – All batches are checked to optimise the Bio and Transfection compatibility, with stringent use of high quality grade polycarbonate and High grade chemicals to ensure consistent uniform pulse generation and improved gene transfer. High Tolerance Moulding – The moulding process ensures extremely high tolerances so that the electrodes have a consistent gap and parallel configuration. The electrodes are also cleaned chemically and physically to fully optimise the cuvette for high transformation efficiencies. Cap Design – The cap has been designed to improve aseptic handling techniques, while the lip and positive seal reduces potential aerosol and contamination issues. 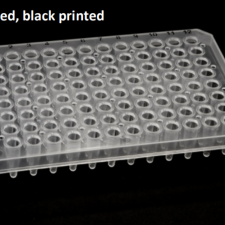 Size Range and Colour Coded – Available in 1mm, 2mm and 4mm gap sizes with individual colour caps. 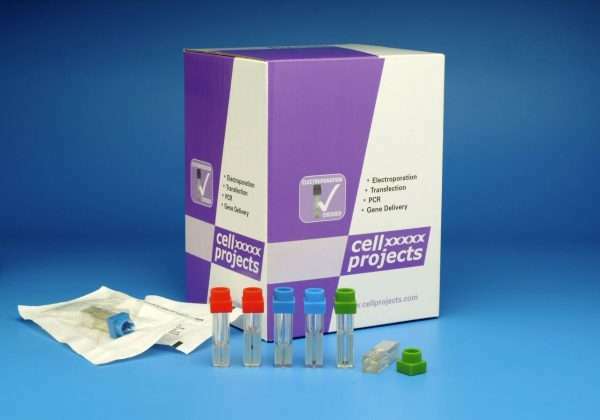 Sterile Packaged – Every cuvette is guaranteed sterile, packed using gamma irradiation and has a simple tear wrapper for easy access when you need it. 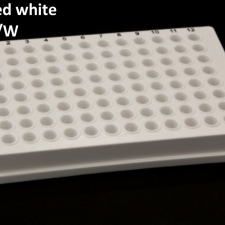 Dead Volumes – All 1 mm and 2 mm cuvettes have a tapered V bottom so that reduced sample volumes can be used while aiding sample pick up and minimising dead volumes.